AFA's 2006 Summer Concert Series presented seventeen concerts to thousands of area music lovers consisting of student orchestra, chamber music, choral, jazz, and faculty performances. 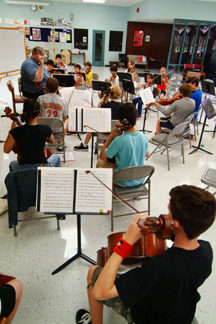 Concerts were held at Episcopal High School’s Underwood Theater, Benitez Chapel and Black Box, at the University of Houston Moores Opera House, Ovations in Rice Village, the Hobby Center for the Performing Arts, South Main Baptists Church and at Austin Middle School in Beaumont. All concerts were free and open to the public. AFA Concerts provide students with a supportive atmosphere in which to demonstrate their achievements, and allow audiences to support their learning process. 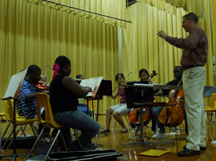 Moreover, concerts take place when most arts organizations have concluded their seasons and are especially targeted to serve student families, local music teachers, school districts and the greater Houston and AFA communities. 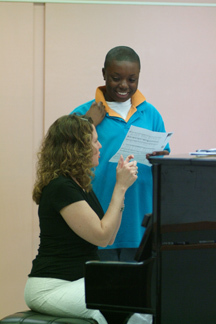 In November of 2004, AFA had a unique opportunity to partner with the Houston Symphony in an exciting audience development initiative. More than fifty AFA students and their families participated in an open rehearsal of Beethoven's Sixth Symphony with Houston Symphony American Conducting Fellow Damon Gupton. Maestro Gupton spent over an hour working with AFA students in the rehearsal rooms at Jones Hall to help them understand and perform this complicated work as parents and friends observed. Later that evening, AFA students and their families received free tickets to see the Houston Symphony perform this very same work — thereby extending their learning experience. AFA is very grateful to the Houston Symphony and Maestro Gupton for this wonderful opportunity for AFA students and look forward to future opportunities for further collaborations.